A region steeped in thousands of years of history, Lancashire is home to Roman ruins, Tudor manors and magnificent stately homes. However, there’s a darker side to this northern county, focused around Pendle Hill. This was the site of the infamous Pendle Witch trials. 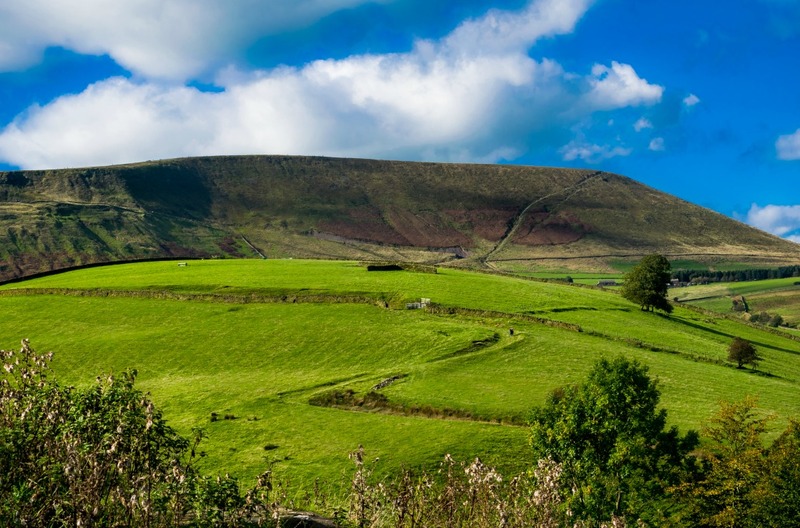 Many people are drawn to the area to discover the history of the Pendle Witches and explore the beauty of Lancashire along the way. From looming castles associated with the trials to fresh, idyllic countryside, read our guide to the witches’ trail. The first stop on the Pendle Witch route is the eponymous hill itself: Pendle Hill. Visible from miles around, it’s instantly recognisable – a long plateau dropping down like a wave in a steep, smooth curve to the valley below. This is where the witches reportedly did their conjuring and conspiring. Surrounded by towns such as Burnley, Colne and Clitheroe, the hill gives its name to the Borough of Pendle, and is also known for being a Bronze Age burial site. Climbing the hill is particularly popular on All Hallows Eve, for those who hope to meet the lingering spirits of the hanged witches. However, if you’re not here on 31 October, park up in Sabden – a village in the shadow of the hill – to discover manor houses, farms, churches and even the graves of England’s most notorious sorceresses. You can also follow in the footsteps of Demdike, one of the accusted, on the guided Pendle Witch Discoverie Tour. This three-hour-long tour takes visitors around the infamous hill, theatrically retelling the story of the witches along the way. If you really want to do your homework, visit the nearby Pendle Heritage Centre in Barrowford. An ancient market town within Ribble Valley, Clitheroe is an important stop on this historic trail. It was here that Margaret Pearson, the only witch on trial who was not hanged, was sentenced to be pilloried to be publicly shamed before serving one year in prison. 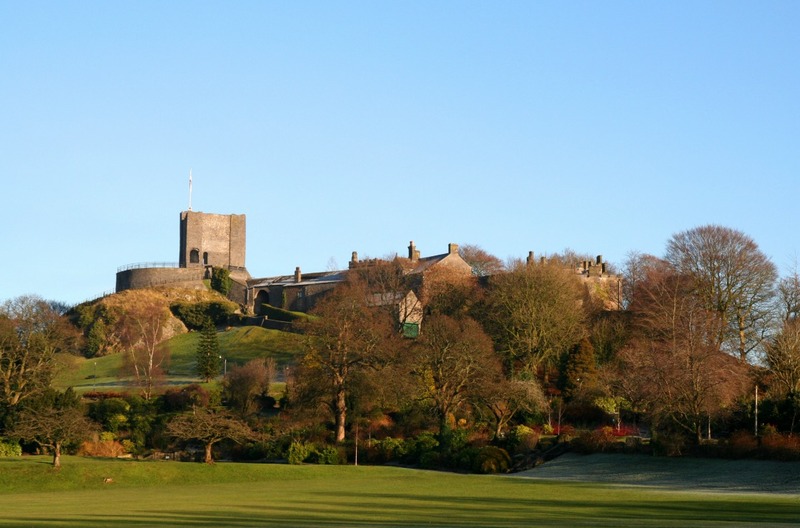 Not only is Clitheroe a beauty nestled within nature, it’s also home to the famous Clitheroe Castle. This is the smallest Norman castle in England, but it’s packed with history. Visit the museum – open throughout the week – to discover the drama that unfolded within the 12 th-century castle’s walls. Shortly after leaving Clitheroe, you’ll enter the Forest of Bowland – one of the UK’s 36 Areas of Outstanding Natural Beauty. The 46-mile Pendle Witches Way – a popular walking route – runs through the area and is the most likely route the witches would’ve been taken on their way to Lancaster. Make sure you allow plenty of time to breathe in the fresh air here. Beacon Fell is rightfully popular with locals, offering miles upon miles of views across Lancashire – and even across the Isle of Man. The nearby Bowland Wild Boar Park is also a local hotspot and a family favourite. Once you’ve fed the boars, make time to feed yourself. One of the Forest of Bowland’s best places to eat is the Inn at Whitewell, which was made famous in the BBC series, The Trip. Dunsop Bridge is a hidden delight; a small village sitting snugly among trees and hills, right in the middle of Bowland. It's here where your road route will cross paths with the Pendle Witches Way. Despite it being nothing but idyllic, Dunsop Bridge has quite the claim to fame: it's the geographical centre of the UK. Or, at least, it's the closest settlement to the precise point, some four miles away. Park up, buy an ice cream, and enjoy a gentle stroll along the river. Although it was built some time after the trials, Jubilee Tower is well worth a visit. It was built in 1898 at the behest of James Harrison – a Liverpool shipbuilder who lived locally – to celebrate Queen Victoria’s diamond jubilee. Climb the few steps to the top and you’ll be rewarded with spectacular views across the coast, with Blackpool Tower to one side, and the Lake District to the other. Just a little further down the road is Clougha Pike. Some 413 metres tall, it looms above the vast Condor Valley, with panoramic views of the seemingly endless green countryside and the city of Lancaster. Park up just west of the hill at the Rigg Lane car park and head towards Ottergear bridge. You can then follow a path that takes you to Wisp Hill and to the summit of Clougha Pike. Next, aim for Quernmore, pronounced ‘kwormer’. As the road climbs out of the valley and over the top, you’ll get your first glimpse of Lancaster. The historic city of Lancaster is our final stop on the route. Lancashire’s county town, this is where most of the accused’s stories came to a brutal end. As you drive into the city, you’ll pass Williamson Park. It was around this area – long before the park was created – where the witches were executed after being tried at the castle. Today, however, the park is ripe for family exploration. There are events throughout the year here, as well as playgrounds and enchanting woodland paths that wriggle their way through 54 acres of greenery. The star of the show is the 150-tall Ashton Memorial. Completed in 1909, this domed folly was commissioned by industrialist Lord Ashton in memory of his wife, Jessie. Today, it’s a local landmark, with views across the city. Next door you’ll find the Butterfly House, which is home to hundreds of butterflies, the range of species including the eye-catching blue morpho and emerald swallowtail. 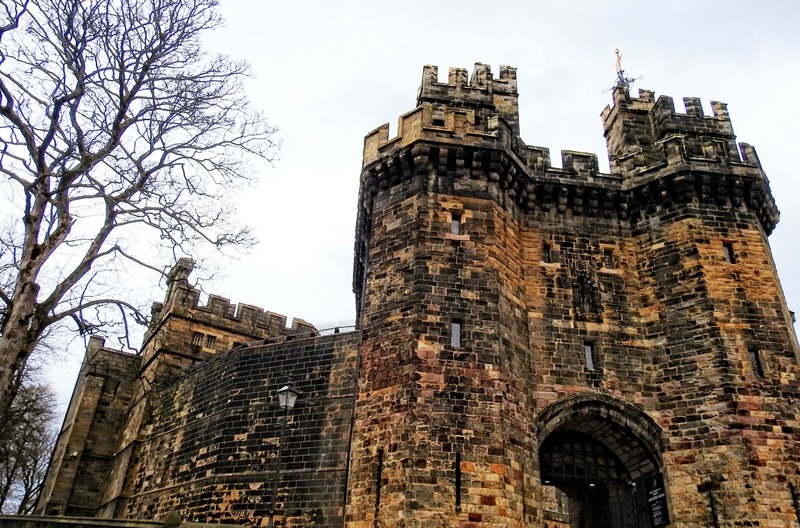 En route to the castle, the centre of Lancaster holds an abundance of history – stretching back to the Roman Empire – down its winding canal towpaths, fine museums and story-filled architecture. What’s more, Lancaster is filled with delicious, northern eateries, such as the cosy Borough, the vegetarian Whale Tail Cafe, which is filled with local art, and the hidden Merchants, housed in former wine cellars. Overlooking it all, though, is the imposing Lancaster Castle, next door to the Priory. Still owned by the Duke of Lancaster – the standing monarch of England – the castle opened its terrifying doors in 1150, with the historic Well Tower undergoing development in 1325. Also known as the Witches Tower, the Pendle Witches were held here before sentencing. While eight were acquitted, 10 were sentenced to death and, on 20 August 1612, they were hanged on Gallows Hill, now Williamson Park. The castle has a long and fascinating history – it was a fully functioning prison until 2011 – and it’s well worth booking into one of the daily guided tours. With so many locations and stories waiting to be heard, there is plenty to be discovered along the Pendle Witches trail and beyond. Book car hire in Lancaster to start your journey through time and delve deeper into Lancashire’s bewitched past.